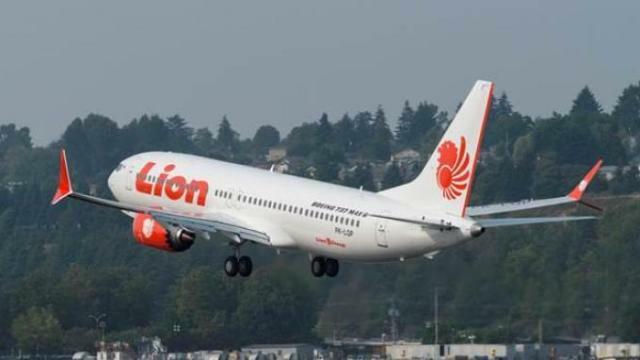 JAKARTA — The Lion Air passenger aircraft which crashed in Indonesia today was a new Boeing 737 MAX 8 plane that went into service only on Aug 15 this year, according to a statement from the airline. Lion Air said the aircraft was carrying 181 passengers and eight crew on a flight from Jakarta to Pulau Bangka Belitung when it lost contact and crashed in the Karawang waters north of Jakarta. The airline identified the pilot as Captain Bhavye Suneja and co-pilot as Harvino. It said the cabin crew were Shintia Melina, Citra Noivita Anggelia, Alviani Hidayatul Solikha, Damayanti Simarmata, Mery Yulianda, and Deny Maula. The aircraft, headed for the Depati Amir Airport in Pangkal Pinang, reportedly crashed soon after taking off at 6.20 am (7.20 am in Malaysia) from the Soekarno-Hatta International Airport here. 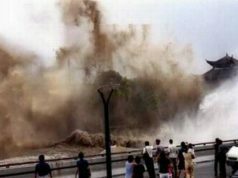 It was scheduled to arrive at the Depati Amir airport at 7.10 am. A spokesman of Lion Air corporate strategic communications, Danang Mandala Prihantoro, said the aircraft was in good condition when it took off. “The pilot had chalked up over 6,000 flying hours and the co-pilot, over 5,000 flying overs,” he said in a statement here. Lion Air has opened a crisis centre to attend to the families of the passengers. The contact phone numbers are (+62) 021-80820000 or (+62) 021-80820002. 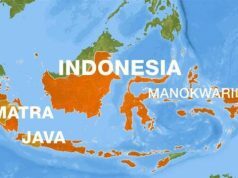 Meanwhile, the Indonesian National Search and Rescue Agency (BASARNAS) said in a statement that the search-and-rescue team has found pieces of debris and belongings of the passengers. So far, there has been no official information on the status of the passengers and crew. Next articleலயன் ஏர் விமானம் கடலில் எப்படி விழுந்தது? மர்மம் நீடிக்கிறது!